Today I went a bit more traditional. I found this image on Galactic Resonance’s web site in the Tibetan Mandala Thangka Paintings exhibit page. Unfortunately, it came without any information about the artist or the piece itself. 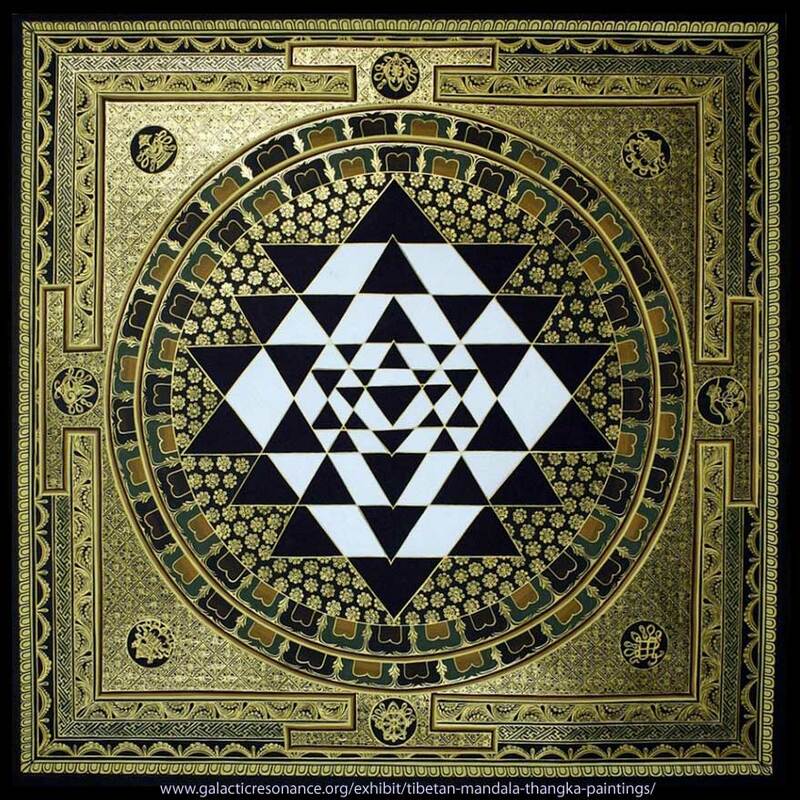 A Sri Yantra is a type of mandala with geometric patterns. Sri Yantra literally means loom, instrument or machine. In actual practice, a yantra is a symbolic representation of aspects of divinity, the creative forces of the universe. It is an interlocking matrix of geometric figures, circles, triangles and floral patterns that form fractal patterns of elegance and beauty. I love how this piece contains a full range of patterns and intensity…from the delicate background patterns in the gold angular areas, to the more straightforward floral patterns in the circular areas, to the most obvious and direct pattern of black and white triangles. Talk about drama. It’s as if traveling from the outside in, we allow ourselves to gradually experience the power of our own Divinity. The more we can break through our own self-made barriers to our Source, the closer we come to being in the presence of our own True Selves.